Hey everyone! This week’s post was written by social media curator Kira Dineen, who is also a fellow blogger and podcaster. In this post, she discusses the power of podcasting and how you can effectively target a market through your podcasting efforts. She gives several examples of people who have been able to achieve outstanding results in the podcasting realm, and also discusses what you can do with the platform you build as a podcaster. The key to having a successful podcast is to find your niche. Once you find it, narrow it down even further. Now I know what you are asking yourself, because I asked myself the same question when I started podcasting: Why would I want to reduce my audience? Here’s why…. A loyal audience beats out a large audience in almost every capacity. Let me provide you with an example of a podcaster who started his career with this idea. Andrew Sims was one of a few hosts who started the widely popular Harry Potter Podcast titled Mugglecast. That’s right, an entire podcast on just one book series. And this show produced regular episodes for eight years and continues releasing episodes every now and then. Today, Andrew produces multiple podcasts, one about popular culture entwined with stories from his personal life. This podcast, Hype After Dark, requires a paid membership to be a listener. Why do people want to pay him to hear about his personal life and his views about pop culture stories? Because he built a loyal audience, or to be more accurate, a fan base. These fans, and yes, I am one of them, are invested in hearing what he has to say. As a podcaster this is a goal you should be striving towards. To have your audience want to hear your opinion on debates, issues and stories. Let’s look back at the show that started Andrew’s career, Mugglecast. It has a very narrow target market, but this is what made it so popular. If he and his fellow hosts decided to have a podcast on literature instead, it would not have been nearly as popular. Literature as a niche is not nearly narrow enough. Readers are in to a variety of genres, and most of the time you will not be pleasing most of your audience. Isn’t it better to narrow your focus and appeal to every audience member? When you are identifying your niche, narrow it once more. This is where your true audience is waiting for you. Andrew isn’t the only one who has found success through effective podcast target marketing. I have my own podcast solely about The Hunger Games series, Nightlock Podcast. I’ve had this show for nearly three years and have built a fan base around my show. Listeners of mine are as passionate about the series as I am. This is vitally important for your listeners to not just be listeners, but to be fans. Now that I have convinced you that a loyal audience is the way to go, let’s find out what the benefits of having a loyal audience are. Gain Trust. This audience can help you gain trust with your customers and fans. 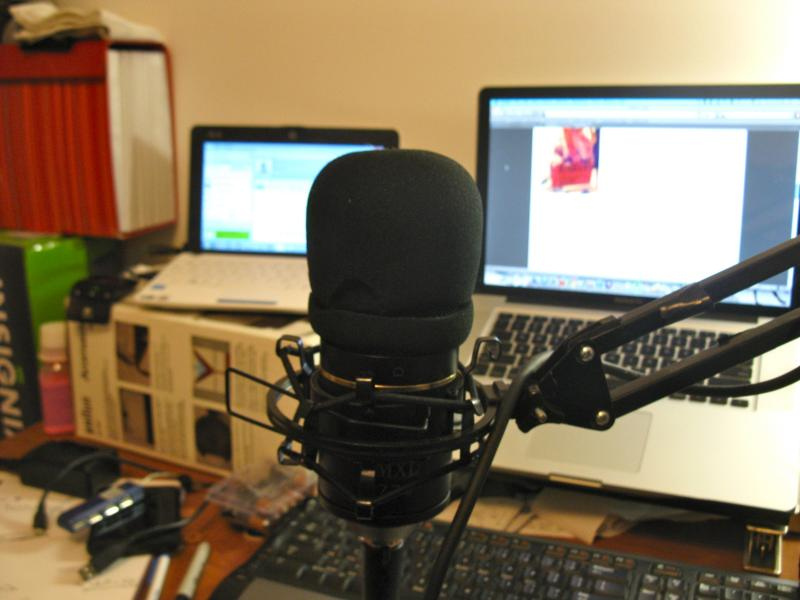 If you are a die-hard fan of a podcaster, you feel like they are one of your friends. You listen to them religiously. Because of this, you trust them. If they recommend a new product or service, you are going to check it out. Once you make an impact like this on someone, they are going to follow what you are up to. You don’t even know what this could entail for you down the road. Montenize. This may be why you really want to get your hands dirty with podcasting. If you are looking to make a little dough, then you need a loyal audience. Fans of your show will want to support you. One way they can do this is through donations. Another method of making money off your audience is by getting sponsors. This is your best bet, as your audience can receive good deals or free trials on products and services and you get a cut. It is much easier to advertise a service/product to listeners if they are actually interested in it. Having a narrow target market allows you to partner with companies that provide a service or product that appeals to your target market. Everyone wins in this situation as your audience gets free or discounted service/product, you receive a check, and the company has new customers. Advertising on podcasts do not work as well when your show is advertising a service/product that most of your audience is not interested in. This means they would not go for that free trial. How narrow is your target market? Share in the comments and I will give you feedback if your target market is small enough to reap these benefits.